I have always liked products which promise organic ingredients, most products that promise all natural ingredients are expensive. For today’s post I am going to be reviewing some products from Nature's Brilliance by Sue. The brand offers very affordable mineral makeup as well as organic lotions, perfumes and soaps with prices starting from $4. 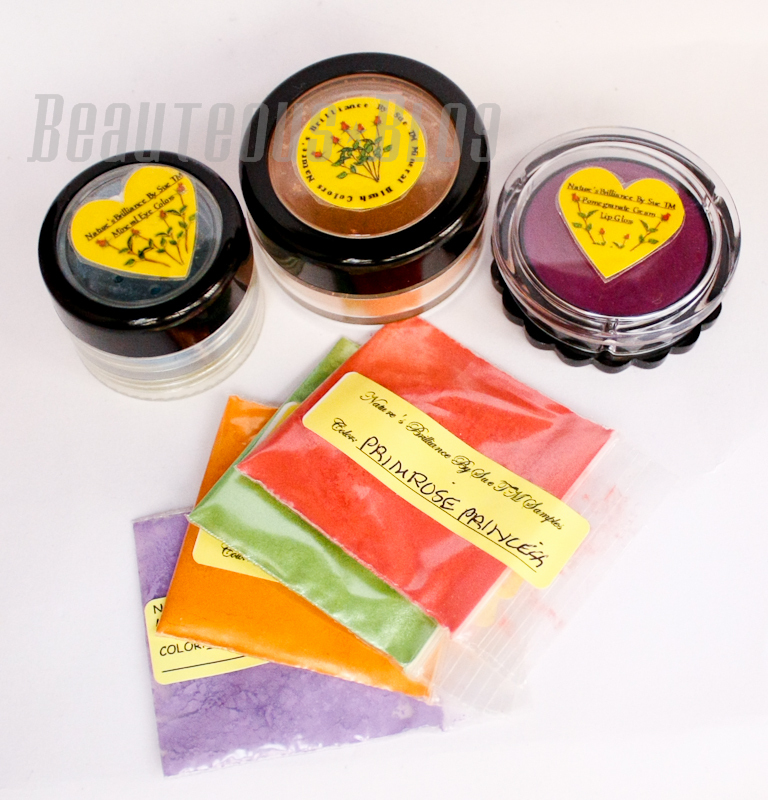 Nature's Brilliance by Sue offers quality organic and natural cosmetics. Sue is the Sole Proprietor of Nature's Brilliance By Sue. It is located on the East Coast in a small town in New Jersey. It was formed to help people locate products for their skin tone & skin type. Sue has dealt with multiple allergies for years and through persistance and exhaustive research has found a line of natural mineral make-up and organic skin and body care products suitable for all skin types, even those with multiple allergies. Nature's Brilliance By Sue will not sell any product that is not 100% Natural or Organic and has not been tested by the owner her self. Sue has a Diploma in both Holistic Beauty Therapy and Holistic Herbal Therapy; with Certificates in Reflexology, Aromatherapy, Bach Flower Remedies, Crystal Healing, and Business Development for the Alternative Health Therapist, from the Natural Health Institutes, based in Canada. Just Recently Susan Skoczypiec was chosen as Cambridge Who's Who as "2011-2012 Entrepreneur of the Year" in Beauty and Image Enhancement. Her profile can be viewed here. Congrats SUE! The Pomegranate Cream Lip Gloss in Orchids in Bloom is a true violet shade which shows up as a light purple tint on my lips. The texture of the product is really smooth, almost like a lip balm. The scent is a bit fruity, I am guessing its pomegranate. The ingredients lists pomegranate butter as an ingredient along with shea butter which makes the product creamy to apply and not sticky. 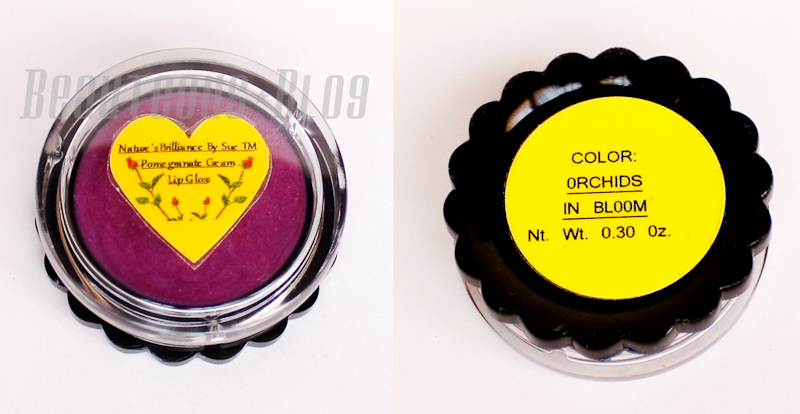 I do like applying this with a peachy color lipstick, it changes the color into a deep rose color. INGREDIENTS: Pomegranate Butter (Pomegranate Fruit, Shea Butter, Jojoba Oil), Castor Seed Oil, Beeswax, Carnauba Wax, Glycerin (Veg. ), Lecithin (Veg. ), Jojoba Protein HP, Organic Sunflower Seed Oil, Natural Vitamin E and Vitamin C, Grapefruit Seed Extract, Mica and Iron Oxide. The swatches are done without any primer, I love the neon green! Sunset Peach is a vibrant orange. Primrose is a pink tone red. Green Apples is a vibrant neon green. Orchid Brilliance-Matte is a bit darker than lilac. Robins Egg is a true sky blue color. The quality of all the shadows is really quite exceptional. Each of the eyeshadows are really buttery and smooth, including the matte shadow. 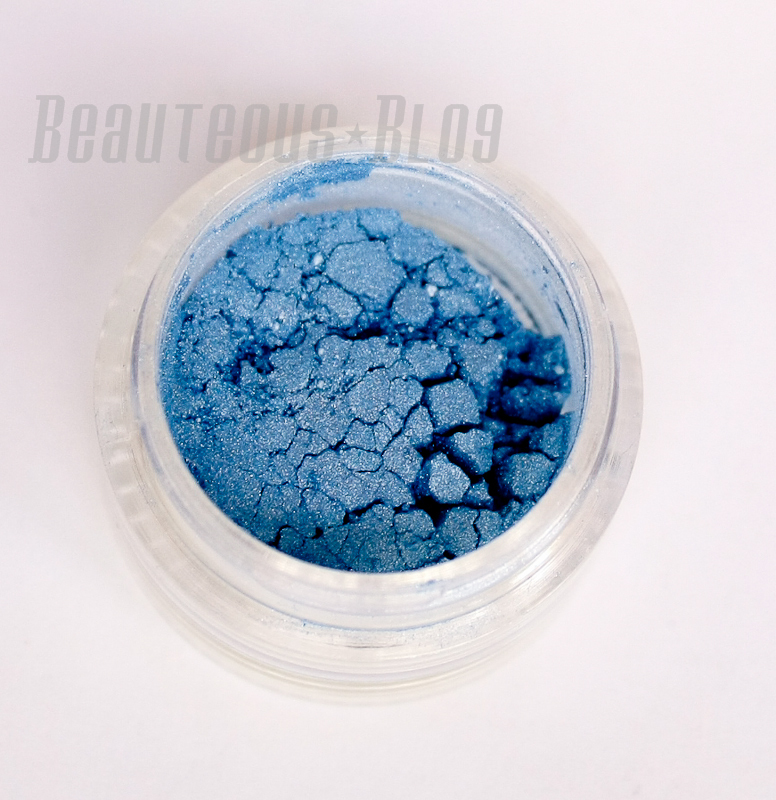 The pigmentation is just as amazing, usually I find that mineral eyeshadows give its true pigmentation by applying them wet but you really don’t need to do that, the smallest amount of the eyeshadow gives a great amount of color. 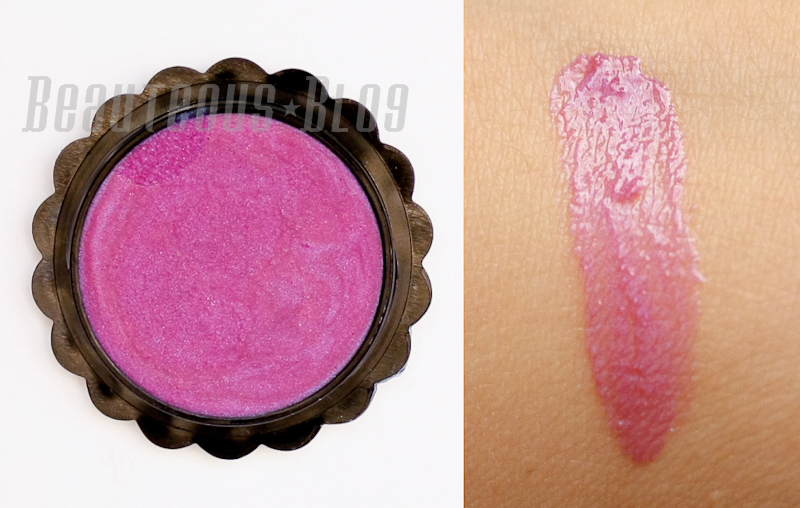 Peach Sunset is a true peachy biege blush with loads of shimmer. 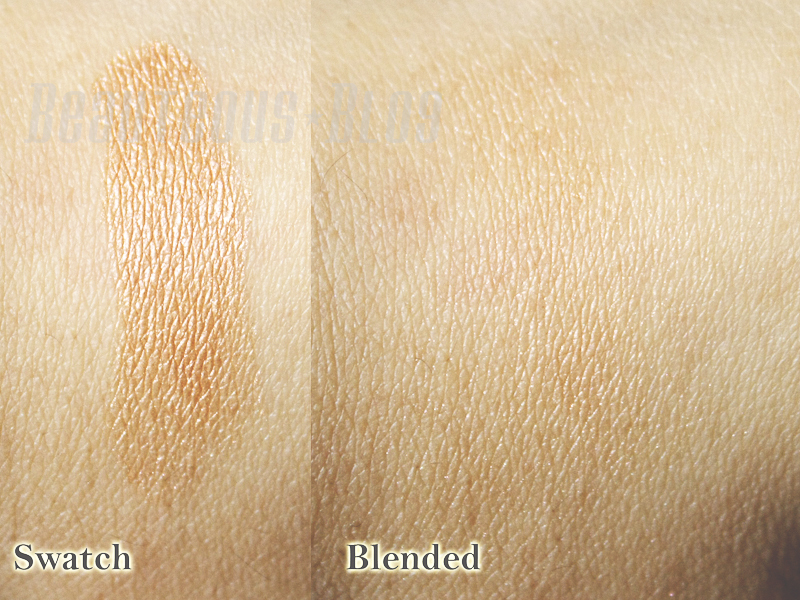 It has the same texture and pigmentation as the eyeshadows. 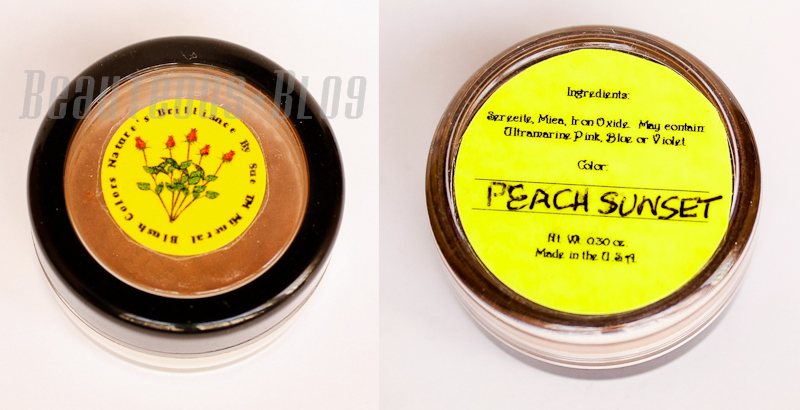 It applies really smoothly, though if you want the peach shade to be more visible than the product must be layered at least twice. Blended out only the shimmer shows up which works as a great highlight with a deep matte peach shade. 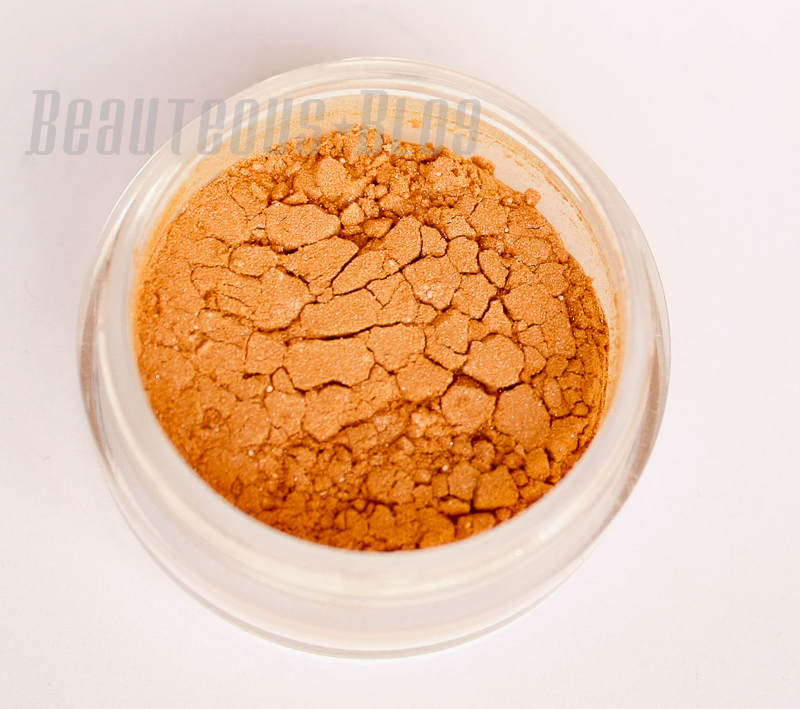 The mineral eyeshadows and blush have the same texture and pigmentation. I really enjoy wearing the eyeshadows, usually with mineral shadows I have to use them wet to get a rich pigmentation but with these I didn't need to. They apply very well and blend really effortlessly. The shimmer in the blush is very pretty, they are very fine so they appear very natural on the skin giving a nice glow. Shipping is available to Pakistan starting at $3 and up. Use the code SN10 and receive 10% off your entire order, the code has no expiration date and no minimum order. For more information you can visit the website here. The eye shadows looks really pigmented and I love the vibrant shades. Interesting post dear! I like your blog! Great review! The eye pigments are SO pigmented. Great review and awsome shades.Very pigmented indeed.